World largest church. All worth it. Its a must go and must buy. If not u will q for more than 2hours jus to get in under the hot sun! 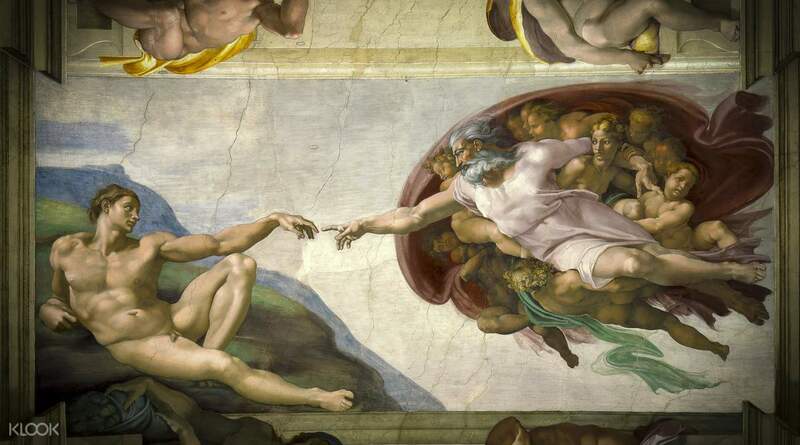 The Vatican has been commissioning and collecting art from the early days of the Catholic Church and the Vatican Museums, Sistine Chapel, and St. Peter’s Basilica contain a treasure trove of western art, including many masterpieces from the Renaissance era. 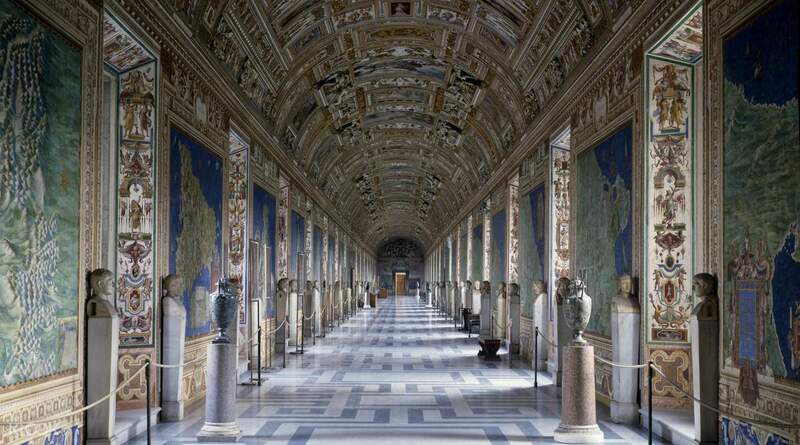 Explore the Vatican collections on this guided tour with fast track entry. Over 6 million visitors come to the Vatican museums every year, so there are always long lines to get in. 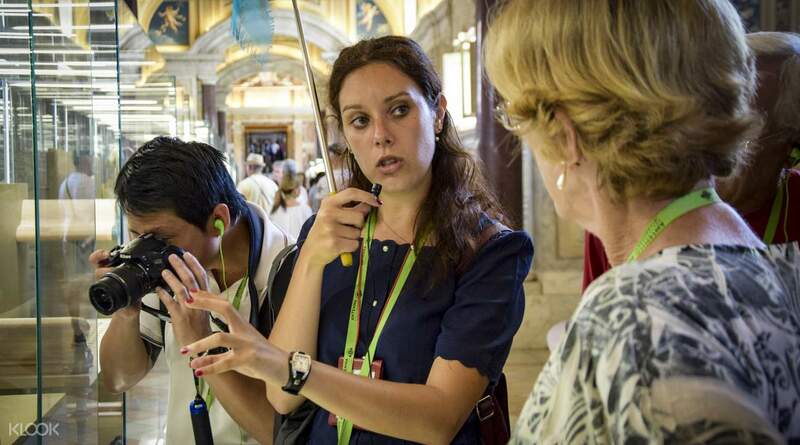 A professional guide will pick you up at the meeting point and lead you to a Vatican Preferred Partner entrance that will allow you to bypass the queues and head straight into the museums. The collections in the museums are vast and can take hours to explore. The multi-lingual guide will introduce you to some of the better known highlights of the collections, including the Gallery of Tapestries, Gallery of Geographical Maps, and the Raphael Rooms. 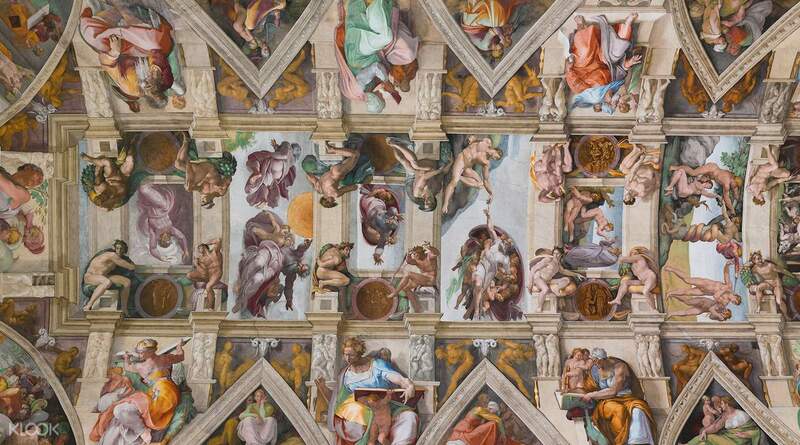 After touring the galleries, head into the Sistine Chapel and admire the magnificent frescoes on the walls and ceiling. Don’t miss Michelangelo’s masterpieces in this room, especially the frescoes of *The Last Judgement* and *The Creation of Adam*. 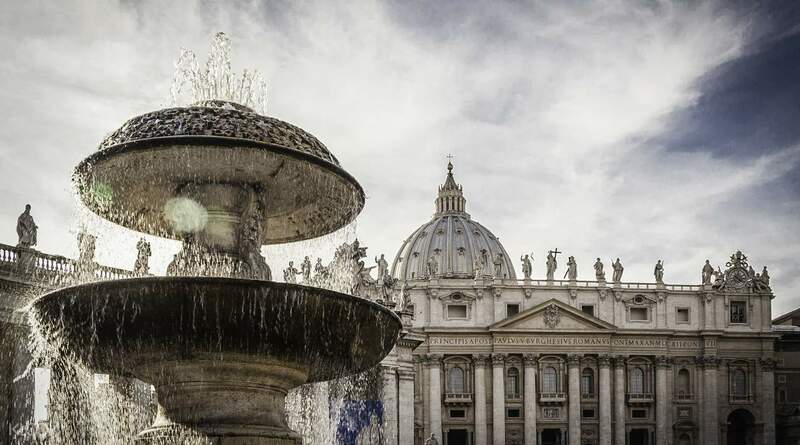 Once you have completed the tour of the museum, head into St. Peter’s Basilica to see one of the holiest shrines in the Catholic world, and the resting place of St. Peter, founder of the Catholic Church. Sylvia was amazing, she knows about Vatican City and the entire complex. Very thoughtful person; we had an old couple who got separated by accident, wife was ventured away from the group and Sylvia kept assuring the husband that we will find her and Thank God we did..❤️ Bravo Sylvia and Thank You for the guidance throughout the activity. Sylvia was amazing, she knows about Vatican City and the entire complex. Very thoughtful person; we had an old couple who got separated by accident, wife was ventured away from the group and Sylvia kept assuring the husband that we will find her and Thank God we did..❤️ Bravo Sylvia and Thank You for the guidance throughout the activity. The local operators was very helpful and accommodating I technically called them up, when I had difficulty finding the meeting place. And it was like 7mins before the call time, so based from there I appreciated and felt like I booked it with right company. Even though I was shocked that there was a lot of I love Rome logos, which I saw from where I got lost in front of the entrance of the Vatican itself. There were many people entering the Museum, I was amazed. The Tour Guide was very knowledgeable about almost everything in those tours. She was very attentive and focus on getting hold of her group together. There was just one concern I had and doubts about why, she brought us in a local souvenir shop instead from the inside of the Vatican itself. (My advise is that, you can actually exit it, and go back in the Vatican and buy the souvenirs there, it was cheaper.) I found my way back in because I had to climb up the dome, and was looking for one specific rosary and checked out the souvenir inside, it was way more reasonable there. In summary, the content, the description of the tour was worth it. Truly an amazing experience. The local operators was very helpful and accommodating I technically called them up, when I had difficulty finding the meeting place. And it was like 7mins before the call time, so based from there I appreciated and felt like I booked it with right company. Even though I was shocked that there was a lot of I love Rome logos, which I saw from where I got lost in front of the entrance of the Vatican itself. There were many people entering the Museum, I was amazed. The Tour Guide was very knowledgeable about almost everything in those tours. She was very attentive and focus on getting hold of her group together. There was just one concern I had and doubts about why, she brought us in a local souvenir shop instead from the inside of the Vatican itself. (My advise is that, you can actually exit it, and go back in the Vatican and buy the souvenirs there, it was cheaper.) I found my way back in because I had to climb up the dome, and was looking for one specific rosary and checked out the souvenir inside, it was way more reasonable there. In summary, the content, the description of the tour was worth it. Truly an amazing experience. A must go place when you are in Rome. The tour was well organised and the duration prefect. We got to see the all the area and the best part was skipping all the queues. Will defiantly recommend to make a booking with klook. A must go place when you are in Rome. The tour was well organised and the duration prefect. We got to see the all the area and the best part was skipping all the queues. Will defiantly recommend to make a booking with klook. Our English guide Andrea (if I got her name correctly) was very patient and knowledgable. Overall good tour as we managed to skip the lines into the Vatican museum, Sistine chapel and saint peter’s basilica. And was easy to find the meeting point too. Overall it was hassle free. Our English guide Andrea (if I got her name correctly) was very patient and knowledgable. Overall good tour as we managed to skip the lines into the Vatican museum, Sistine chapel and saint peter’s basilica. And was easy to find the meeting point too. Overall it was hassle free. Wonderful experience! The place was crowded but our tour was well organized and a lot of FUN!! Hats off to “the best” tour guide I have ever met, DAVID!!! He has a lot of interesting stories, has a great sense of humor, very knowledgeable and we enjoyed it. Enough time to look around, see beautiful/impressive work of arts/paintings/tapestry and we also had ample time to take pictures. Highly recommend that you take this one. Wonderful experience! The place was crowded but our tour was well organized and a lot of FUN!! Hats off to “the best” tour guide I have ever met, DAVID!!! He has a lot of interesting stories, has a great sense of humor, very knowledgeable and we enjoyed it. Enough time to look around, see beautiful/impressive work of arts/paintings/tapestry and we also had ample time to take pictures. Highly recommend that you take this one. Great experience in a beautiful historical site! Good guide (Cecille from I love Rome Tour), there were about 30 people/group & each has their own audioset (we can keep the earpiece due to sanitary reason).Buying from Klook is a breeze, highly recommended! Great experience in a beautiful historical site! Good guide (Cecille from I love Rome Tour), there were about 30 people/group & each has their own audioset (we can keep the earpiece due to sanitary reason).Buying from Klook is a breeze, highly recommended! worth every penny! the guide was very knowledgeable and the tour was properly paced as opposed to other group tours where you feel rushed. definitely recommend trying this tour for the convenience it provides. worth every penny! the guide was very knowledgeable and the tour was properly paced as opposed to other group tours where you feel rushed. definitely recommend trying this tour for the convenience it provides. The guide offered interesting tidbits that we wouldn't have figured out had we not joined the tour. Fastrack access is a plus. No time wasted on queueing. The guide offered interesting tidbits that we wouldn't have figured out had we not joined the tour. Fastrack access is a plus. No time wasted on queueing.